As I type this, the Kickstarter for Cash & Carrie has a bit less than 2 days to go, and it has more than doubled its initial $3,600 goal, so it probably doesn't need me to stump for it, but on the off chance that I can sway someone who might be interested and hasn't supported it yet, I figured it was worth a shot. 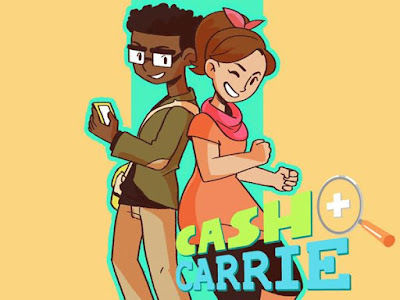 Cash & Carrie is a kids detective comic from the minds of Shawn Pryor (creator), Giulie Speziani (writer), and Penny Candy Studios (art). Cash & Carrie is a comic book about two middle school detectives. Dallas Cash is an investigator and tenacious techie who believes in the supernatural, and Inez Carrie is an investigator as well as the captain of the wrestling team who bases her crime solving skills in realism. Together, they are best friends who attempt to solve mysteries for schools all around the world. Inspirations for this all-ages comic book include Disney's animated series Fillmore, Scooby Doo, and the X-Files. 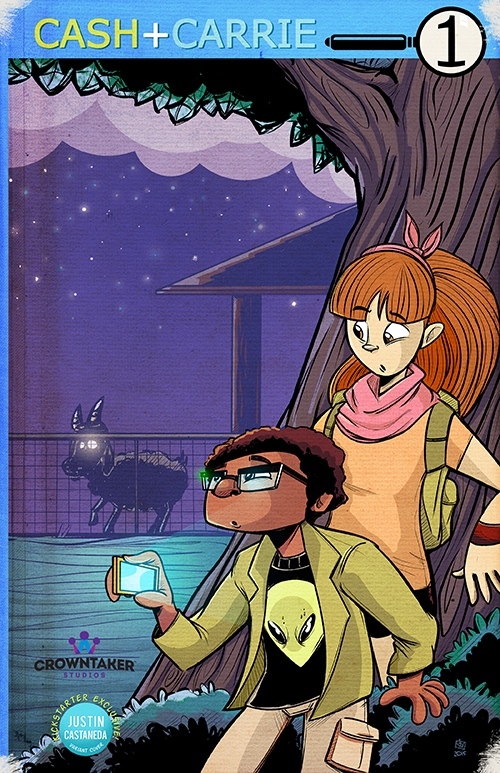 In their debut comic book, the strange disappearance of a school mascot, Misty the Goat, has left a small town without answers. Luckily junior high school friends, Dallas Cash and Inez Carrie, are on the case! With the help of a few friends and some intriguing clues, they narrow down the list of possible suspects... or did Misty magically vanish into thin air? If there's a mystery to be solved, look no further than Cash and Carrie! As a lifelong fan of kid/teen detective fiction (and someone who had serious Encyclopedia Brown aspirations when I was younger), this hits me right in the sweet spot, and it's the sort of thing I can probably convince my son to read, too (even if it doesn't involve Minecraft or Plants Vs. Zombies), and that's always a good thing. 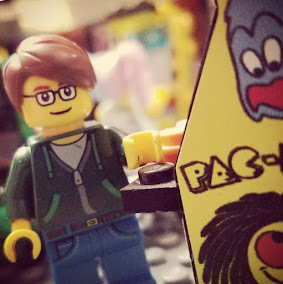 And, in the interest of full disclosure, I know Shawn Pryor and I can vouch for his enthusiasm, his passion for good comics for all audiences, and the fact that he's probably the only person besides myself who has ever expressed positive feelings toward oddball G.I. Joe team member Hardball. Even if I wasn't already won over by the concept itself, his hustle would get me to want to read this. And since the project is already funded, I'll be able to. And you can, too, since now they're deep into stretch goal territory, which so far means a lot of fun extras and a ridiculous amount (as in, at last count, about 800 pages' worth) of DRM-free digital comics for anyone who pledges over the $10 mark. And because it's Kickstarter, there are a variety of funding levels and incentive packages available (I opted for the Justin Castaneda variant cover because it's a Hardy Boys homage). So if this seems like the sort of thing you or someone you know would enjoy, consider helping to fund Cash & Carrie and let's see if we can't kick things up to the $8,000 or even $9,000 stretch goal levels. The AV Club and Panels liked it, and maybe you will, too.